Enroll in our accelerated online PALS courses to quickly earn your PALS certification or recertification in 1-2 hours or less! Both programs offered include free same-day-review of your exam submission with your digital provider card issued and sent the same day if you successfully pass the test. Each course exhibits key elements that are designed after the official AHA PALS provider manual which follows current Emergency Cardiac Care (ECC) guidelines. Simply register, click on the text link provided and then begin either exam. Once you have submitted your answers, allow our advisors to review and reply with your results the same business day. Get started below now! Both exams are not timed and there is no required timeframe to complete. Complete at your own pace. Complete your Pediatric Advanced Life Support certification from your work or home computer according to your schedule. There is no time requirement to finish the exam as well as no time limit while taking the test. Take at your own pace. Our convenient PALS recertification online is also designed in the same standard. Both exams allow the applicant to finish the testing 100% online with no in-person evaluation required. Simply pass either exam and receive your PALS card. To get started, choose either the PALS recertification or PALS certification registration depending on your specific needs. If your PALS has expired for over one (1) year, you will need to register in the PALS online certification course. If your PALS expiration is less than one year, you may recertify. After registration, either click on the text provided in the confirmation page of your transaction, or access the exam through the receipts sent from our staff via email. Both exams are made up of fifty questions which have four choices with only one answer being correct. Both exams may be printed to allow the applicant to study in their free time and then return to select the answers they've previously chosen. In order to obtain our same-day-review, you must finish the exam before 12:00pm PST in either of our PALS on line courses. Exams completed after this deadline will result in the applicant receiving their scores and possible digital provider card the following business day. Those who complete the PALS class on time will typically receive their results and digital provider card before 7:00pm PST the same day if they pass. Our organization offers free exam retakes at no additional cost if you do not pass either test with at least a score of 80%. Our PALS online recertification and certification exams are designed to be convenient for those with a busy lifestyle and need a flexible solution to earn their provider card 100% online. 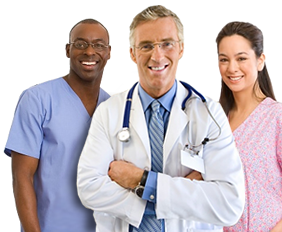 Our PALS course examination is used and recommended by hospitals, clinics, medical practices and many other health-related professions.